Students will have fun learning Thanksgiving themed vocabulary with these 8 word searches. Each one has two different parts of speech. 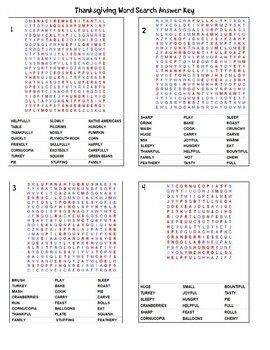 These word searches can be used to practice vocabulary words and to identify different parts of speech.